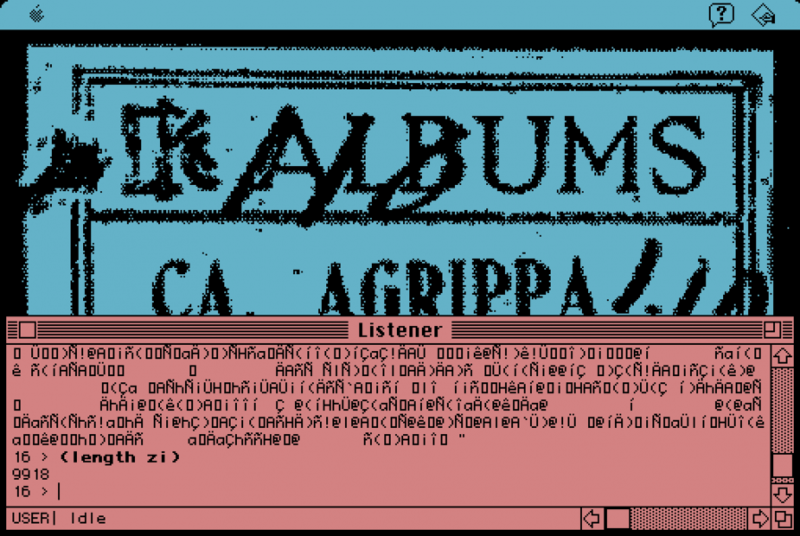 In 1992, cyberpunk author William Gibson published a 300-line poem on a 3.5″ floppy disk, titled Agrippa (A Book of the Dead). The poem was stored as a Macintosh program that, when run, would display the poem and then irreversibly encrypt itself, destroying the stored poem. In 2012, I became interested in unlocking the encryption of Agrippa through the Agrippa Challenge, which enlisted the Internet to figure out the program. Here’s what I figured out. 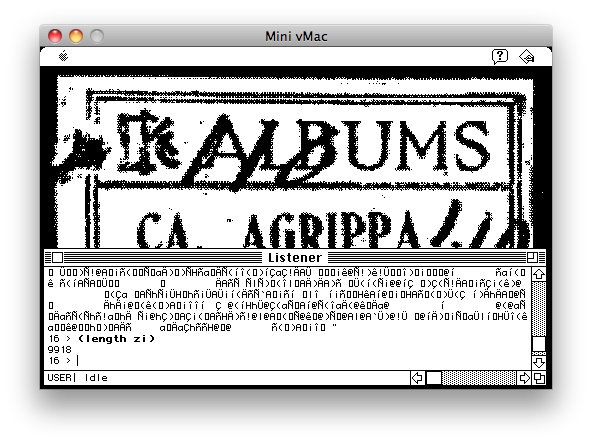 The Agrippa program was developed in Macintosh Common Lisp, a dialect of Lisp augmented with routines to interface with the classic Macintosh OS of that era. Only the compiled binary was provided, and the source code has been lost to time. The encryption algorithm there is a very straightforward in-house “encryption” algorithm that encodes data in 3-byte blocks. The design is clearly ad-hoc, and it does not reflect any known public cryptosystem; in particular, the reference to DES has nothing to do with the actual DES cryptosystem (the un-make-des function more closely resembles the RSA algorithm). This algorithm encodes data in 3-byte blocks. First, the 8 bits in each byte are permuted through a 8-position permutation (do-it), then the bits are split into two 12-bit integers (by taking the low 4 bits of the second byte and the 8 bits of the first byte as the first 12-bit integer, and the 8 bits of the third byte and the 4 high bits of the second integer as the second 12-bit integer). Each is individually encrypted by taking them to the 3491th power, mod 4097; the bits are then reassembled into 3 bytes. Side note: 3491 appears nowhere in the code, but it is the exponent which reverses the action of taking the 11th power, mod 4097 (the implementation of un-make-des); that is, taking a number to the 3491th power mod 4097, then to the 11th power, again mod 4097, will result in the original number (mod 4097) for most integers. (This doesn’t work for numbers divisible by 17 or 241; evidently, the developer never ran into such values when using his encryption system as they would otherwise corrupt the text). The 8 bits of the middle byte are permuted through a different 8-position permutation (do-too-it) and the three bytes are output as encoded bytes. 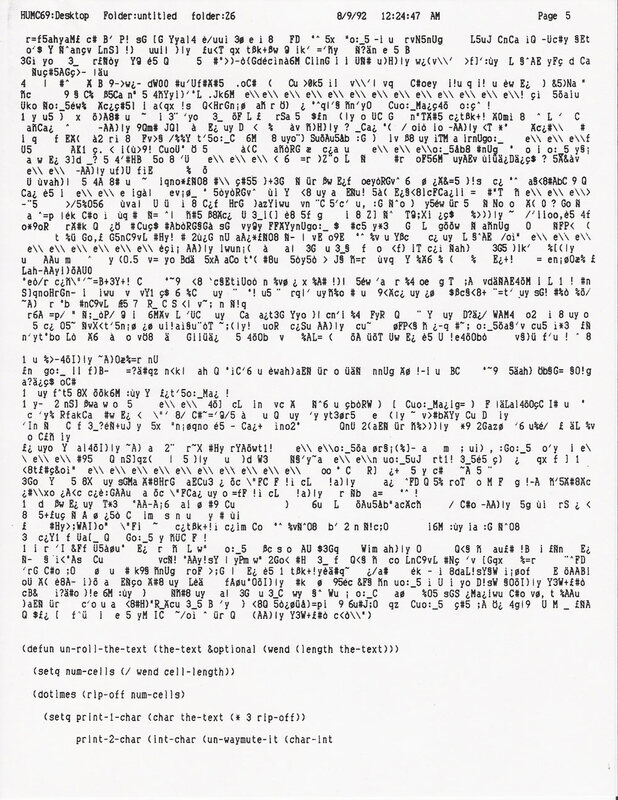 The big block of data is the whole poem encoded with this algorithm and printed as MacRoman characters (with escapes, e.g. 0x5c, the slash character, is output as \\). Sadly, a combination of font and printing limitations means that the printout is not enough to directly decode the poem: several characters are unprintable (and so are “invisible” in the printout), there is no way to reliably distinguish tabs (0x09) from spaces (0x20), and some characters have been printed incorrectly by the font (e.g. the e in the repetitive " e\\" sequences should actually be an e with a circumflex (ê), but the printout doesn’t show this). Consequently, the poem can’t be completely recovered from the printout, but I am confident that the analysis is correct. Note that the design of this algorithm ensures that any particular (aligned) block of 3 characters will encrypt the same way, since each block of 3 characters is independently encrypted. Thus, it exhibits a number of cryptographic weaknesses, primarily exhibited as regular patterns due to repeated text in the original plaintext. The encryption of three consecutive spaces is " ê\" (quotes added for clarity); since repeated spaces appear very often (e.g. before each chapter marker), this sequence can be seen repeated often. (the last few lines of the poem) is Î£ÑÀQ$£¿Ì[ıƒ^ü…ïÓ êÊyMIÇ…~/ôì≈^Èür˙Q¯(ÀA}|yÙ¥3W+£¶ò∆©«ò\ which again matches the last few characters in the data block of the Lisp program listing. Next, for the actual Agrippa program itself. 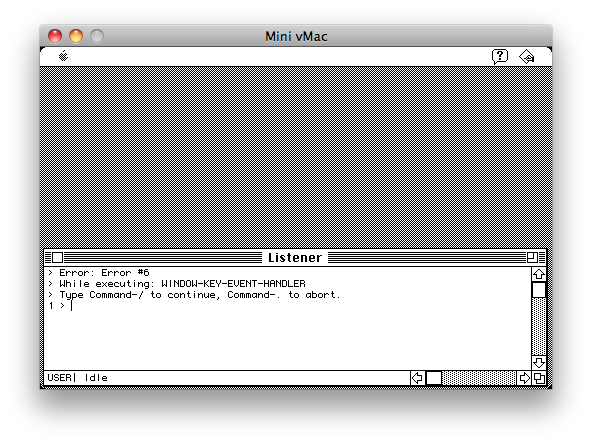 I ran the programs in an emulator (Mini vMac), having no access to suitably old hardware myself. You can see some unusual names at the end, like shoot-gun, *mingzi*, *about-agri*, etc. (note that Lisp is not case-sensitive with its symbol or variable names). In fact, all variables after *TRACE-OUTPUT* are variables from the Agrippa program. Examining the Lisp code from the Agrippa Files, we see that many of the variable names are the same, but not all are. This immediately suggests that some variables were renamed, added or removed during the process of software development, implying that the Lisp listing was for an earlier pre-release version of the program. 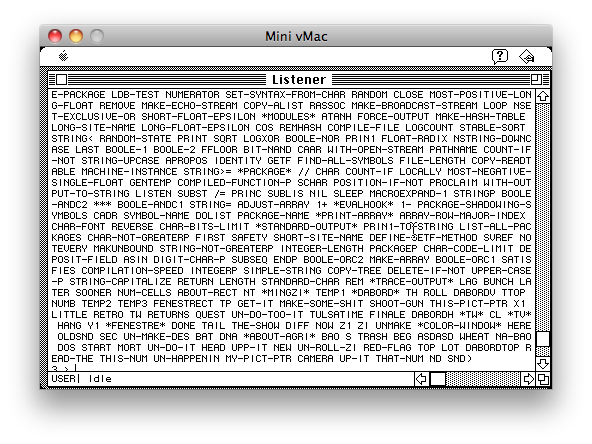 The function UN-ROLL-ZI is suspicious, as it mirrors the name of un-roll-the-text in the original Lisp listing (in fact, “zi” means “words” in Chinese; a few variable names are named in languages other than English). However, the zi variable is not currently available. If you start the program again (from a fresh disk image, i.e. “for the first time”), and press keys when the poem window appears, typing in zi at the REPL will yield the complete, original text of the poem. and we can see the telltale " ê\" sequence in this screenshot. I can actually confirm that the decryption algorithm used in the Agrippa binary is functionally identical to the one implemented in the Lisp listing, i.e. that part of the program did not change between that listing and the final shipped version of the program. Therefore, the major mystery of “what encryption algorithm was used” has been solved. Scanning the binary for these encrypted strings turns up absolutely nothing. The reason is that the Macintosh Common Lisp compiler compresses the main program code into the executable, then fishes it out and decompresses it during startup. So, string searching will not turn up anything. The best bet if you want to get the encrypted mass of text is to use Linux ckpt or a similar tool to get a memory dump of Mini vMac after the Agrippa program has been loaded. The compression is not in any way a form of encryption, so we won’t discuss it in depth. Later, I worked out that the plaintext poem is simply fed through the un-waymute-it (upp-it) function line-by-line, character-by-character, which effectively implements a simple substitution cipher over the characters. The characters are thus modified to become unrecognizable, but the encryption is trivially reversed by putting the text through waymute-it. Unfortunately, due to the limitations of the text display in the program, it is impossible to precisely determine the ciphertext (since some characters are replaced with boxes, and others are missing entirely); thus, “decrypting” the ciphertext that scrolls at the end is impossible to do precisely. However, since it’s a simple substitution cipher, the characters that are readable can be used to reconstruct at least part of the text. Why doesn’t the program run again the second time? This one’s pretty easy: the program corrupts itself at startup. 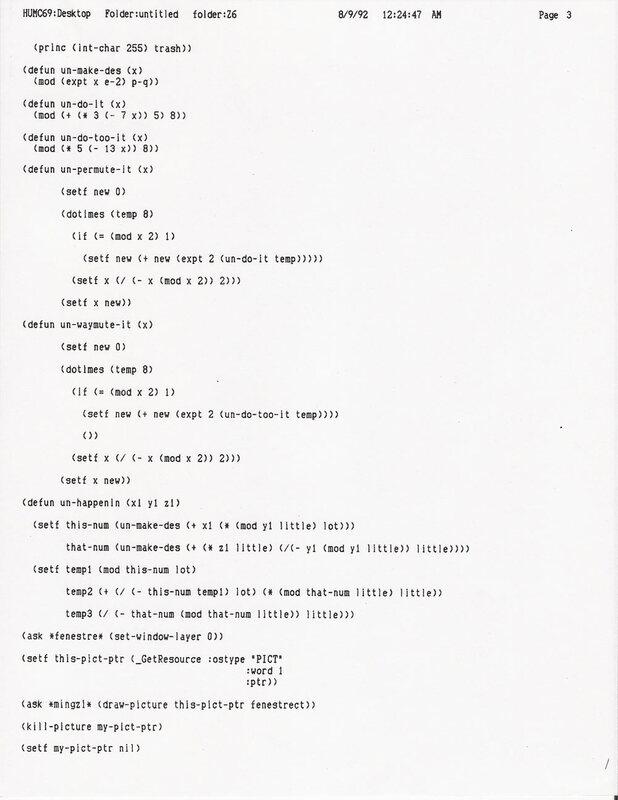 Originally (as indicated in the Lisp program listing), the plan was to just write 40000 0xff bytes to the binary (“trash”), which would inevitably render the program “corrupt”. At some point, someone clearly thought it would be more artistic to use a “genetic code”, so the final version writes 6000 randomly-chosen (but fixed) As, Cs, Gs and Ts to a particular spot in the application file. This corrupts several routines in the program, preventing it from starting or running normally (or, depending on the computer used, freezing or crashing the whole system). Note that the genetic code has a codon entropy of 5.97 bits/codon, much higher than any natural DNA sequence known (they top out at around 4-5 bits/codon), and a BLAST nucleotide search turned up no results. It is therefore likely that it is randomly selected (or matched against an artificial DNA sequence, e.g. the sequence shown in the book). 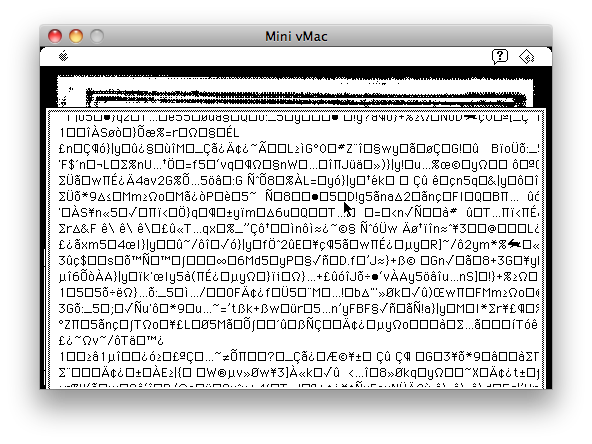 Finally, I wrote some code to assist me in my reverse engineering efforts. It implements all the encryption and decryption routines, and further provides a demonstration decryption of the readable parts of the final encrypted text scroll (point #2 above). Encrypt a piece of text with the "Agrippa cipher". Its length should be a multiple of 3. Decrypt a piece of text using the "Agrippa cipher". This program prints out several pages of ciphertext. You can compare the generated encrypted text with the text that is scrolled during the last 25 seconds of the emulated run of Agrippa to see that the implemented encryption routine matches the original. Note that the last line of ciphertext on each “page” is not visible due to the limited height of the text display window. Finally, the script prints out a partial decryption of the first page of ciphertext based on what is visible (boxes have been replaced with • characters, which decrypt to <).